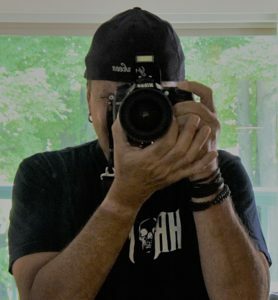 My name is Johnny, I am a Charlevoix, Michigan photographer and am fortunate to have beautiful scenery and the Great Lakes right out of my door. I have been working as a professional photographer for over 20 years traveling throughout the state and country for various shoots. I like to shoot portraits, events, architecture, scenery, sunsets, real estate and quite honestly…. Just about anything. I enjoy the challenge of shooting any subject and capturing the true essence of whatever it is man, woman, nature or machine. I am always interested in meeting new people and shooting whatever my client would like me to shoot and is passionate about. Sometimes its a pet, other times a car, house or anything in between. Travel is typically not an issue and provides me another excuse for a road trip which is enjoyable any time of the year. I have always been interested in photography. As a Charlevoix Michigan photographer even at a young age I was envious of those that displayed the gift of being able to capture an image in such a way that it attracted the attention of complete strangers who felt compelled to purchase and display the photo. That, it seemed to me, was the ultimate compliment in the world of an artist. Having sold my photos to people who feel the same about my work is gratifying and humbling. Please contact me if you would like to discuss any of my photos or a shoot you would like for me to accomplish. I’d be more than willing to speak with you on the phone or meet in person. Thanks for taking the time to review my galleries.